Lexington, KY (August 29, 2018) - The United States Dressage Federation™ (USDF) is pleased to announce that Lois Yukins, of Manchester by the Sea, MA, has been named the 2018 USDF Volunteer of the Year. Members recognized with this honor have demonstrated exceptional commitment towards carrying out USDF&apos;s mission, through consistent and cumulative volunteer activities. As the winner, Lois will be presented with a perpetual trophy, established by Lisa Gorretta, which is on permanent display in the Roemer Foundation/USDF Hall of Fame. She will also receive a “keeper” trophy and be featured in the yearbook issue of USDF Connection. Having started as a United States Pony Clubber, Lois shifted her focus to dressage, following a jumping accident, and has gone on to become a respected judge, clinician, and educator. 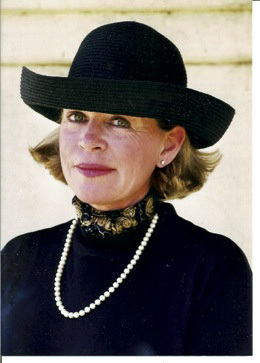 Lois became a National Dressage Judge in the early 1970s and has been an FEI Dressage Judge since 1999. She has worked as a judge and clinician through the US and Canada, as well as in Central America, South America, Asia, New Zealand, Australia, and England. Lois currently holds licenses as a USEF &apos;S&apos; Dressage Judge and a 4* FEI Dressage Judge. In addition, Lois has also donated countless hours of her time to USDF and the sport, having been a member of the USDF Judges Committee since 1994, and serving as chair from 2005 to 2012. She has also served as a USDF L Faculty Member, and member of the USDF L Program Committee, since the mid-1990s, and has chaired the committee since 2012.